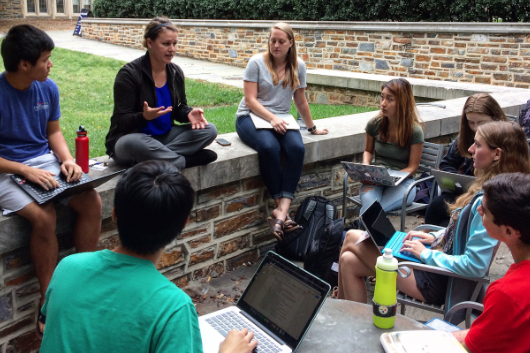 On the second Friday of every month, Duke Sustainability Board, in conjunction with Sustainable Duke, will be hosting Sustainability Summits. The goal of these monthly summits is to bring sustainability groups (clubs, staff, students, and faculty) across campus together to share and to achieve cross-campus collaboration. This is an ideal event to gain awareness for your group, events, share best practices, and problem-solve on any issues you might be facing. RSVP here: elizabeth.rublev@duke.edu please provide the name of the group and who will be representing the group. For a truly successful conversation we highly encourage at least one member per group to attend.